There is a belief that the best way to improve your work productivity is to emulate the habits of someone highly successful. John D. Rockefeller, who founded the Standard Oil Company in 1870 and ran it until 1897, is one of the true titans of American business. And so, the book Mastering the Rockefeller Habits by Verne Harnish made its way onto my reading list. Setting priorities for the organization. Collecting and analyzing sufficient management data. Establishing an effective organizational rhythm. Of the three key habits, setting priorities is first, and arguably the most important. Rockefeller developed a list of the Top 5 priorities of his business for the upcoming year and the next quarter. He also ranked those top priorities in order and set a clear Top 1 priority from among his Top 5. He communicated these priorities throughout his company and encouraged employees to set personal priorities that aligned with and supported the company’s priorities. It seems to be common sense to solve the problem at hand before moving to another challenge, but not every team or employee has the discipline to follow through to completion of a difficult task. Rockefeller’s managers provided the discipline needed to make sure the top priority was completed before the second priority was undertaken. As productivity tools go, Rockefeller’s Top 5 priorities list is one of the most widely used in American business history. As an example of the effectiveness of the tool and how soon it came to be appreciated by others, Harnish relates the story of a management consultant who was summoned to the office of Charles Schwab in the early 1900s. At the time, Schwab was the CEO of Bethlehem Steel, and he was looking for ideas to improve the business. The consultant told Schwab how he could improve Bethlehem Steel’s bottom line by using a simple productivity tool. It was Rockefeller’s Top 5 priorities list. The consultant told Schwab to start each day by writing down the top 5 things he wanted to accomplish for the company’s benefit. They had to be prioritized from 1 to 5, with 1 being the objective likely to have the greatest impact on the business. Schwab was instructed to work only on priority 1 until it was completed. If it was not accomplished by day’s end, it remained the top priority the next day. Under no circumstance could he move to priority 2 without completing priority 1. The consultant told Schwab to implement this principle and afterwards pay him whatever he felt the advice was worth. If it didn’t work, Schwab owed him nothing. A period of time elapsed and one day the consultant received a check in the mail from Mr. Schwab. The check was written for $25,000, which was a great deal of money in those days – something over $600,000 in today’s terms. That’s how beneficial the borrowed productivity tool was to Bethlehem Steel, which became a world leader in its industry. Rockefeller knew, and Schwab learned, this: Management of any business, large or small, needs to clearly establish and communicate to employees important priorities that will help the company make progress towards its vision. 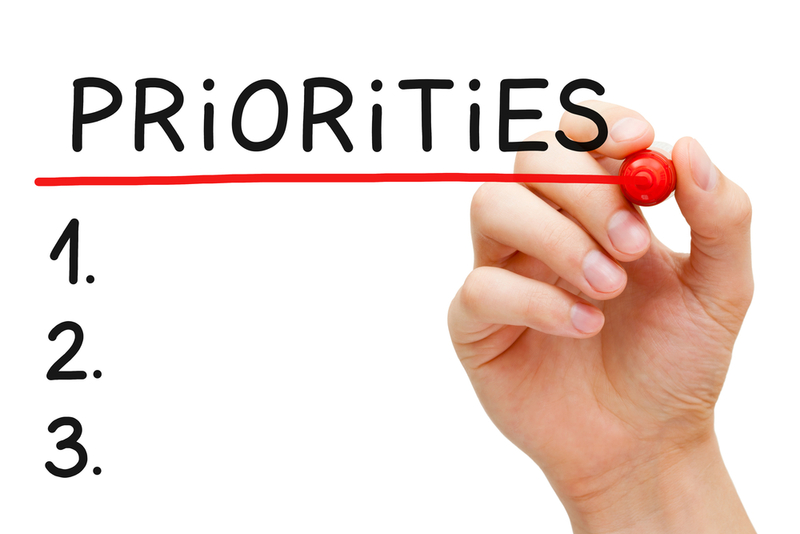 How well have you identified and articulated to employees your company’s priorities? If you’re not sure, give Trillium Financial a call at (404) 353-2148 and we’ll help find the answer.